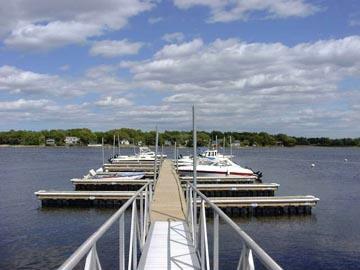 Wareham Marina slips are located in the protected cove created by Rose Point with direct access to Buzzards Bay. Slipholders, in addition to a beautiful slip view, enjoy discounts on maintenance and storage as well. Interested in having your own slip? Contact us today at info@warehammarina.com or call 508-748-1472. The base rate is $83 per foot (overall length) plus $85 for the Wareham boating sticker. Winter Storage is $14.00per foot. Great fishing and easy access to Buzzards Bay, Cape Cod Bay and the Islands!